When I started research on my noir YA, the first thing that came to mind was the brilliant high school-does-noir film Brick. That movie does an amazing job of taking the drama, the twists, and the stylized tone of the noir genre and puts it into a high school setting. Another favorite of mine, Veronica Mars, took the genre, added some humor, and put it into a television sitcom. What I wanted to know, was whether any authors have tried their hands at writing about it in literature. I typed “high school noir” into Google, and of course Brick turned up. But the other results led me to author Megan Abbott. As I read more about the author and writing professor, I became curious to read her books. What she does is to take familiar crime genre tropes and adds a female twist, for example the book Queenpin features a female crime boss. I figured if I was going to travel down this literary road less traveled, I would look to someone who has already blazed a trail. First, I read the haunting The End of Everything. 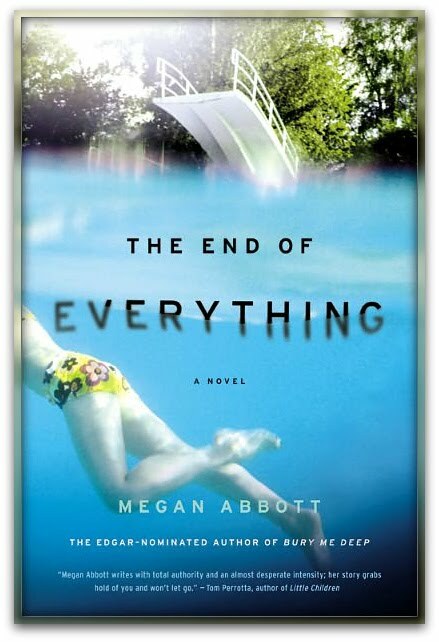 The End of Everything tells the story of two young girls, best friends, and the tragic event that changes them forever. Thirteen-year-old Lizzie narrates this story of innocence lost. She watches the events unfold and secrets become revealed after her best friend Evie is abducted by a local man. Without spoiling the twists the story holds, I will say that I was continuously surprised by Abbott’s plot choices, and didn’t know what was coming right until the end. I could tell Abbott has a fondness for Jeffrey Eugenides’s The Virgin Suicides in her own tale of the suburbs’ dark secrets and her use of lush language that emphasizes the nostalgia of girlhood while at the same time exploring its tragedies. 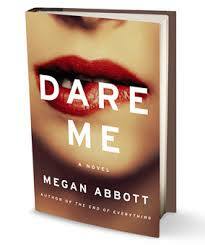 Dare Me is the book that I would qualify a bit more in the noir genre. It features two best friends again, bitchy cheer captain Beth and her loyal sidekick Addy, but this time the girls are in high school. This ups the ante, the drama, and the bad behavior. When a new cheer coach arrives at school to whip the team into shape, she causes a rift between Beth and Addy. Addy’s loyalty moves to the charismatic coach, enough that when she learns a secret that could damage the coach’s professional and personal life, she sacrifices her friendship with Beth to protect her. The twists come fast and hard in this book as well, and I often found myself desperately wanting to finish a chapter to find out what would happen next. This type of book is not my usual literary choice. I’ve long been a self-described book snob, often only reading books that have been in the literary canon for fifty years or more. But studying and working in the publishing industry has opened me to more contemporary fiction. I wouldn’t compare these books to the great works of English literature, but I don’t think they should be written off as “chick lit” either. Abbott is a talented writer who knows how to weave an intricate plot, introduce compelling characters, and utilize beautiful language. I respect her subversion of the crime drama by featuring females in the key roles. More than anything, these two books show the importance of an interesting plot, something key to writing in this genre. There is something to be said for an author who can write page-turners. I can only hope to emulate Abbott’s ability to keep her audience guessing as I work on my own take on high school noir. If my plot is half as nail-biting as Abbott’s I’ll consider that a success.